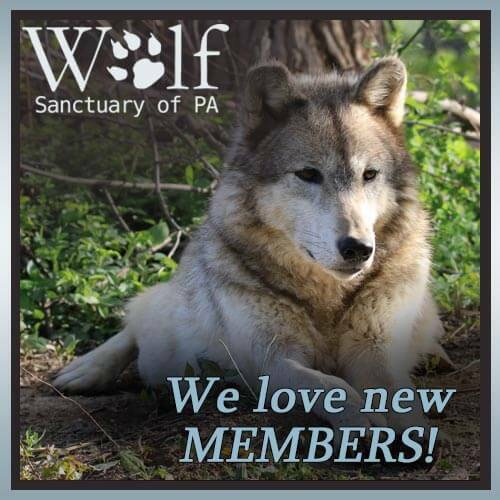 Become a member of Wolf Sanctuary PA today! We rely on the help of our members and supporters to ensure that we can continue to provide the highest level of quality care and enrichment for the all of the wolves. Become a member and play a role in helping to provide for these mysterious and misunderstood creatures. We have updated our membership program and now offer some additional benefits. Be sure to present you membership card to redeem benefits. Memberships benefits are good for 1 year plus 1 month after the date of purchase. Please allow 4-6 weeks for your membership package to arrive. Memberships are a way to help the sanctuary. 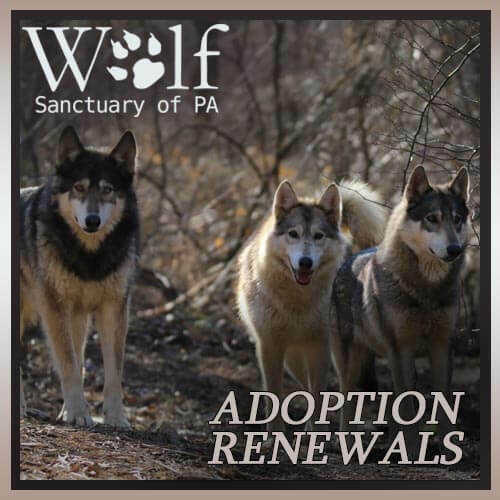 Since our founding 30 plus years ago, Wolf Sanctuary of PA has provided wolves and wolf dogs a way out of institutionalized lives and deaths. Today, Wolf Sanctuary of PA has renovated infrastructure , beautifully expanded living and sleeping spaces and easy to reach veterinary care. We are devoted to assuring the most comfortable and stimulating environments for our wolves. 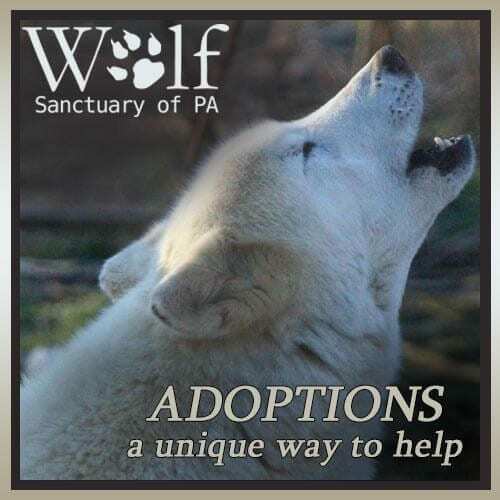 Here at Wolf Sanctuary of PA wolves and wolf dogs are given back their dignity. 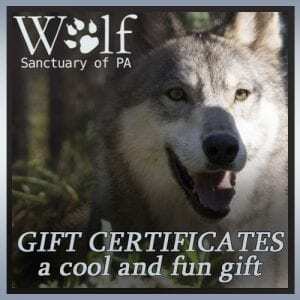 Wolf Sanctuary of PA is a non profit 501c3. We maintain the well-being of the Wolves only through your generous support. Where should the membership papers be sent? *Please Note: If you are gifting multiple memberships, each to a different individual and/or to different addresses, please add each one individually to the cart.